Summer is about baseball — the crack of the bat, the cheer of the crowd, and the smell of hot dogs. There are some kids, however, who live in the shadow of the ballpark and have never been to a baseball game. Our BLUE Crew Ticket program aims to change that! 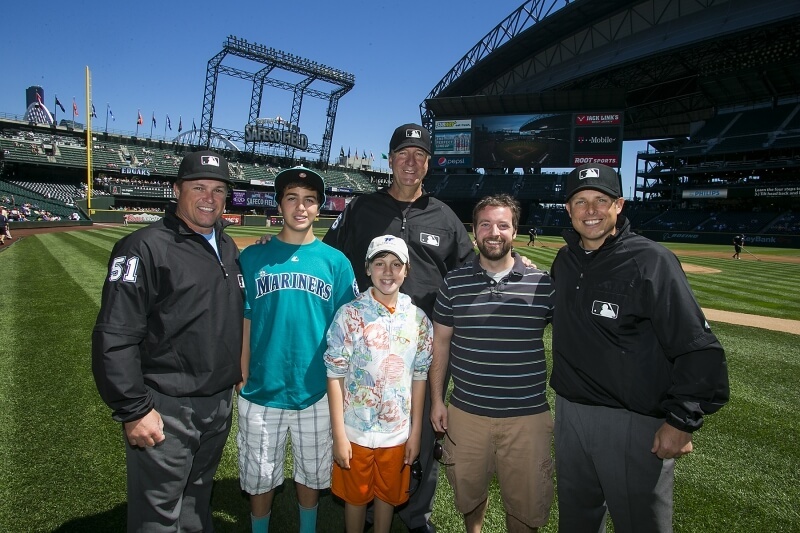 Through this program at-risk youth, children battling chronic illness, kids in foster care, and military families in every major league market across the country receive a “big league” experience. You see, the BLUE Crew Ticket program is more than a ticket; it’s a smile when kids need it most, a bonding experience, a memory for families going through hard times. Each BLUE Crew Ticket VIP experience includes great seats to the ballgame, a goody bag of "all things baseball", and the unique opportunity to step onto the field for a souvenir baseball and photo. 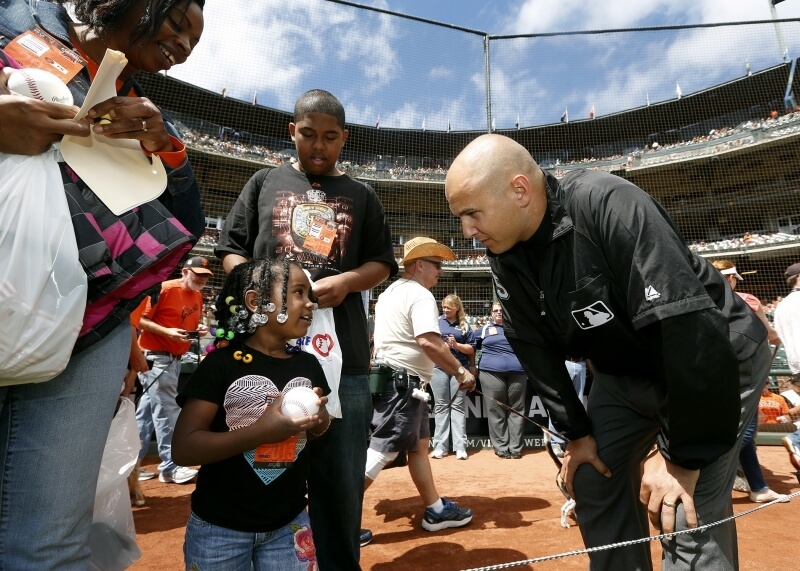 The baseball experience is designed to strengthen relationships of at-risk youth and adult caregivers. This program is possible thanks to the generosity of caring corporate sponsors and individual donors. Corporate sponsors include New Era Cap, GIANTS Snacks, Ford Gum, The Friends of Jimmy Miller Fund, Ump-Attire.com, and Major League Baseball Advanced Media (MLB.com).